Through analysis of your current situation and by utilising the General Insurance providers on our panel we are able to more easily find a solution tailored to your insurance needs, with no broker fees. Able Insurance Services NT endeavours to find you the most appropriate product at the most competitive premiums. We specialise in domestic insurance - home, contents, motor and landlords. We also specialise in general insurance for small to medium enterprises, including but not limited to public liability and small business insurance packages. 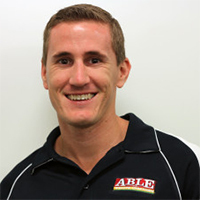 After years in the Mortgage Broking industry, Able Finance decided to expand its services to include general insurance so they were able to meet their clients insurance needs. Able Insurance Services NT was born after becoming an AR of Westcourt General, who enabled Able Insurance Services NT provide the same great service as their sister companies, Able Finance and Able Wealth Creations, but in the field of general insurance. To be able to help clients in their hour of need. In these situations it makes me appreciate the value of insurance and the benefits I can provide to my clients by ensuring that the insurance buying/claims process is seamless in order to alleviates our clients stress when it is at its highest. Every form of sport including Rugby, Rugby League, AFL and Golf as well as catching up for a cold beer with close friends and enjoying living in the best place in the world, Darwin.